The train sounds which begin this track are live, recorded in 2011 at Magic Kingdom. Version 1 of the project incorrectly used the 1990s DLP train station announcements by Eddie Sotto. One major project was an attempt to find the authentic 70s Wagner station announcements. The Disneyland station announcements have always been available, but differ in wording and pace compared to the Magic Kingdom versions. I ended up combining multiple sources of DL train audio with live sections provided by Dave McCormick's live recording of the Main Street Station in 1983 to create a "composite" version which accurately recreates Wagner's original station announcements. Returning from Version One is "Meet Me Down on Main Street". “Meet Me Down on Main Street” is a piece more strongly associated with the Disneyland Main Street than anything in Florida, and in fact the inclusion of this piece is the single biggest departure from my “target era” in the entire audio mix. Yet I felt justified in including it not only for the superior atmosphere setting it provides, but because it recurs over and over again in early Walt Disney World promotion – from “Project Florida” (1970) and “The Magic of Walt Disney World” (1972) to “A Dream Called Walt Disney World” (1980). So there is a good deal of historical precedent for its inclusion. Buddy Baker conducted the piece many times in his career for Walt Disney Productions, but no fine, complete recording of such sessions is publicly available, so for this set I have used the “Walt Disney Takes You to Disneyland” version of the recording, created by Oliver Wallace in 1955. Wallace was adapting a tune he had already written in 1950 for the animated short “Crazy Over Daisy”, slowing the tempo slightly to allow him to score it as a leisurely carriage ride down Main Street. “Crazy Over Daisy” was based on songs of the 1890’s era such as “Sweet Rosie O’Grady” and “Daisy Bell”, making it an appropriate fit for Main Street. This 1955 Wallace track is blended with another Wallace recording of the music, for the 1956 "People and Places: Disneyland USA". This recording was sourced from the Walt Disney Treasures: Disneyland, Secrets, Stories, and Magic" DVD video release. In Version 1 of this project, the Main Street, USA BGM (music loop/area music) was one of the major inaccuracies I sought to fix in the second version. Version 1 used "Saxema", from a track collection downloaded from MouseBits.Com based on an inaccurate track listing originating on an early park music resource. This list itself seems to have originated with cassette tape mixes circulated at Disneyana Conventions in the 1990s. The incorrect music loop correctly identified two of the seven (!) albums the Main Street music originates from, but the order and selections is almost entirely wrong. For one thing, there were definitely two Main Street tracks used from 1976 onwards, one for morning and one for evening, although Disney was not always reliable in switching them punctually. 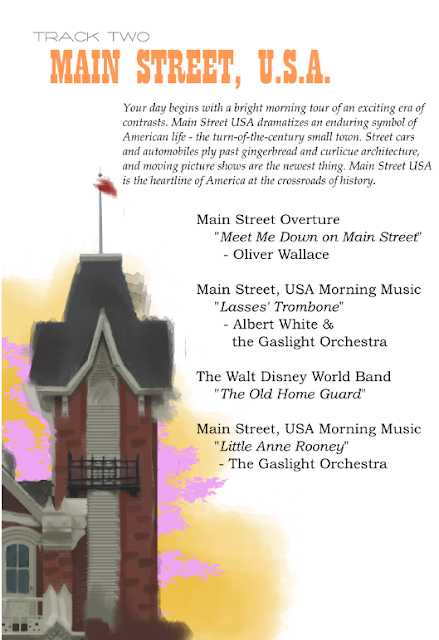 The selections which appear in this track accurately reflect the Main Street "Morning" music. Generally, the morning selections were leisurely paced waltzes and the evening tracks were briskly paced and often jazz inflected. The first BGM track is "'Lasses' Trombone" by Albert White & the Gaslight Orchestra, from the album "Your Father's Moustache, Vol. 1". 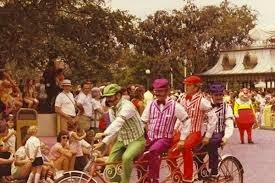 This track began playing on Magic Kingdom's Main Street in the mid-1970s and was removed in the early 1990s. It was selected to liven up the front of the track. 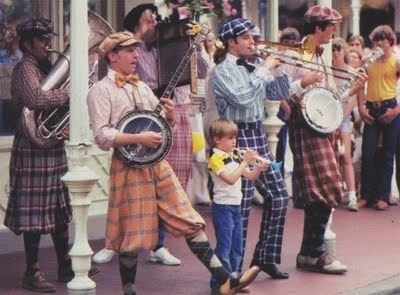 "The Old Home Guard", from Bedknobs and Broomsticks, here represents the Walt Disney World Band, a marching band act from the earliest years. This selection is from their self-titled LP release. The Florida Band was much more prone to jazz licks than their more concert-oriented California brothers, and I think this breakdown is particularly "hot". It's pretty thrilling to hear a Dixieland deconstruction of the Sherman Brother's catchy but staid military march, like hearing the authentic article of what the current Main Street Philharmonic tries only to do in vain. These guys were amazingly skilled musicians. The second BGM track, "Little Annie Rooney", comes from a terrific early 60s record "Gay Nineties Waltzes", arranged by Joseph Kuhn. 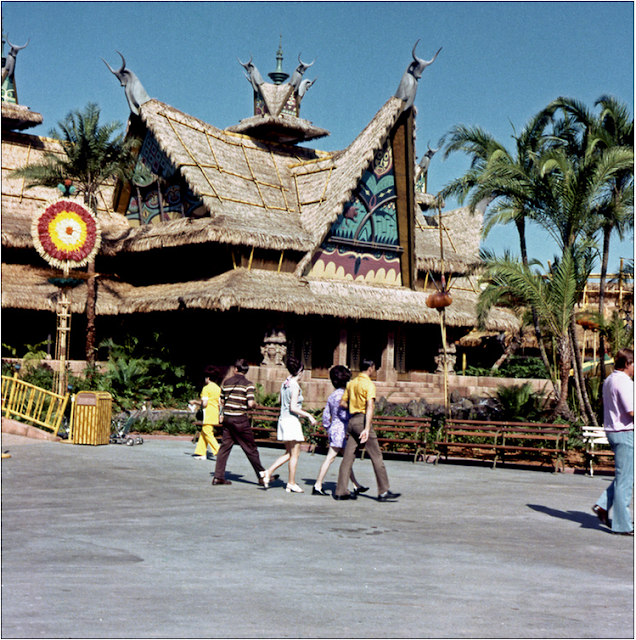 This record seems to have provided the very earliest Main Street background music at Disneyland and Magic Kingdom from 1971 - 1976, and the dreamy nature of the music is an appropriate keynote for bright, hot Florida morning on Main Street. The various Main Street vehicle engines, horns, wheels, and horse hooves heard here were recorded by me at Disneyland in March 2013. Main Street Cinema – The Cinema BGM for both DL and MK was pulled from a 1963 LP “Rides, Rapes and Rescues”, which is available digitally on MouseBits. The tracks included here are excerpts from “A Hat, A Derby, A Cane, and a Cop” and "Silents, Please! ", performed by Hangnails Henessey, in fact a pseudonym for famed musician Spike Jones. Main Street Saxophone Quartet – Sourced from the 1973 picture-disc LP" A Musical Souvenir of Walt Disney World's Magic Kingdom", produced by Jack Wagner. The saxophone quartet dressed a “Keystone Kops” and often ran after each other frantically while performing, adding additional jazz age flair to the Center Street area. The selection is “Hurry”, by J. S. Zamecnik, from his 1913 book “Sam Fox Moving Picture Music”, which was widely read by silent movie theater pianists and played in countless movie houses around the country. Main Street BGM "School Days" also originates from "Gay Nineties Waltzes". Penny Arcade – The Main Street Penny Arcade featured absolutely no BGM, or if it did, it played so softly underneath all of those arcade gadgets, orchestrions and player pianos so as to be undetectable. Most of the player pianos and orchestrions (those big boxes that contained a number of instruments such as cymbals and triangles) were brought east from Disneyland and entered Walt Disney World’s rotating stock of music devices. These would be brought in and out of the shop, rotated and used in various areas around the resort. This, combined with the inevitability that sheet music for these machines would eventually wear out and be replaced, ensures that reconstructing with total accuracy the sound of the arcade in the late 70s is a total impossibility. But, we can provide an accurate soundscape in other ways. One of these orchestrions was displaced to the Main Street Train Station in 1998 when the arcade complex was converted to a shop. After some research, I identified this as a Seeburg KT model Orchestrion, probably from 1927. A very similar model was restored by Piano World in Illinois recently, and the first audio selection in this mix is of their Seeburg KT playing “Yes, Sir, That’s My Baby”. The mix overall has been supplemented with sound recordings of movieolas and other early arcade devices recorded at Walt Disney World or obtained from Robert’s Musical Restorations in Deland, Florida. The second piece was more difficult to choose. One of the most common early music devices was the Wurlitzer C, a tall, handsome cabinet with memorable light-up windows along the top. One of these resides as of this writing (2014) in the Diamond Horseshoe Saloon in Liberty Square, although it is not an original Walt Disney World item. Eventually I identified a Wurlitzer C sitting on the Riverboat Landing in the background of a picture reproduced in “The Magic of Disneyland and Walt Disney World” by Valerie Childs, pages 20 and 21, thanks to the Wurlitzer C’s memorable windows. So a Wurlitzer C was indeed in the early Walt Disney World music box rotation. The second musical selection is “Allegheny Baby”, once again thanks to Robert’s Musical Restorations. The Penny Arcade rambled out towards the Refreshment Corner, ending where the Casey’s Corner indoor seating area is now. The Penny Arcade segment thus ending with a short segment of the Main Street Pianist playing Maple Leaf Rag, again sourced from "A Musical Souvenir of Walt Disney World's Magic Kingdom". 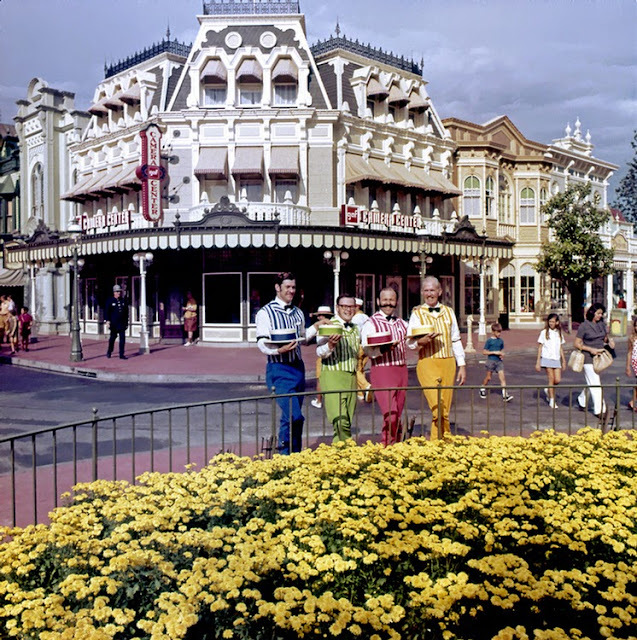 This particular recording has been re-used dozens of times in promotional materials and even passed off as originating at Disneyland, but it is in fact the Magic Kingdom pianist in 1972. 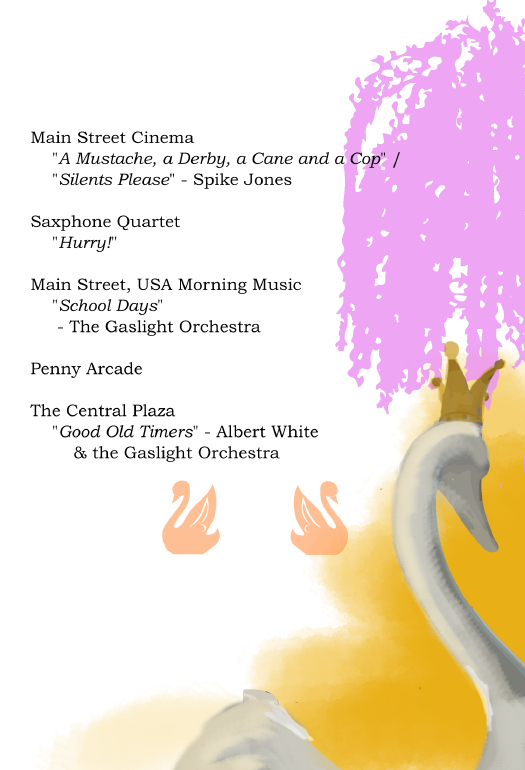 Bench on Central Plaza: -“Good Old Timers” – Albert White and the Gaslight Orchestra release "Your Father's Mustache Vol. 2" My initial intention here was to use Crystal Palace BGM, which was apparently compiled from still more Albert White tracks not used in either the daytime or nighttime Main Street loops, but additional details proved to be impossible to trace. Instead I deliberately chose music that would evoke openness and airiness appropriate to the Hub area of Magic Kingdom. 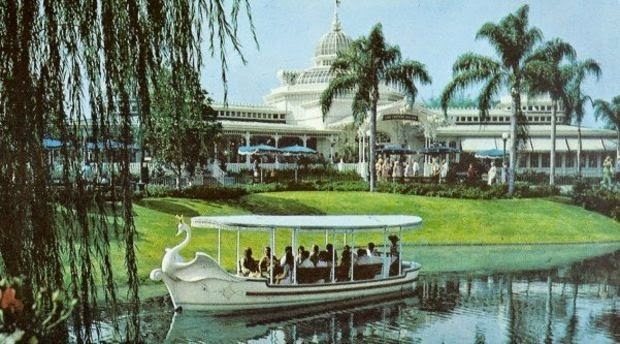 At one point, a Swan Boat can be heard to pass from right to left through the soundscape. The engine noise was taken from a home video donated by Pat Connor to the website Widen Your World, the video being from 1982. This is maybe the only known sound home video of the Swan Boats, which closed at Walt Disney World in 1983, making this particular soundscape the first time anyone has heard these elements in conjunction at the park in nearly three decades. The voice of the hostess onboard was graciously provided by Erica Mendez. That about does it for today's journey; the Main Street, USA track has been added to the Disney Avenue Music Player so that you can enjoy it whenever you desire. 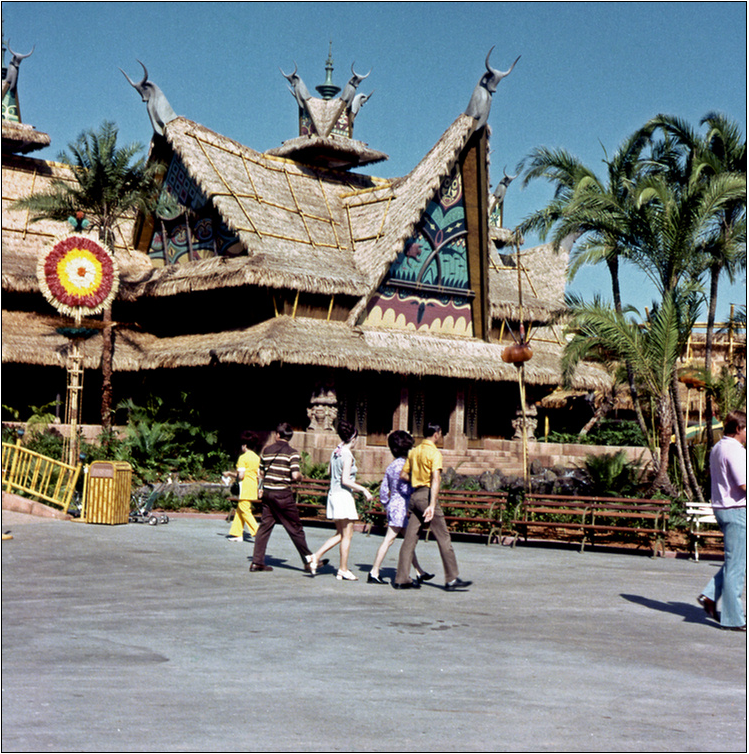 Be sure to tune back in tomorrow as we'll take a musical tour of vintage WDW Adventureland! Keith Michael Mahne is the owner and editor of Disney Avenue and the host of the Disney Avenue Podcast. 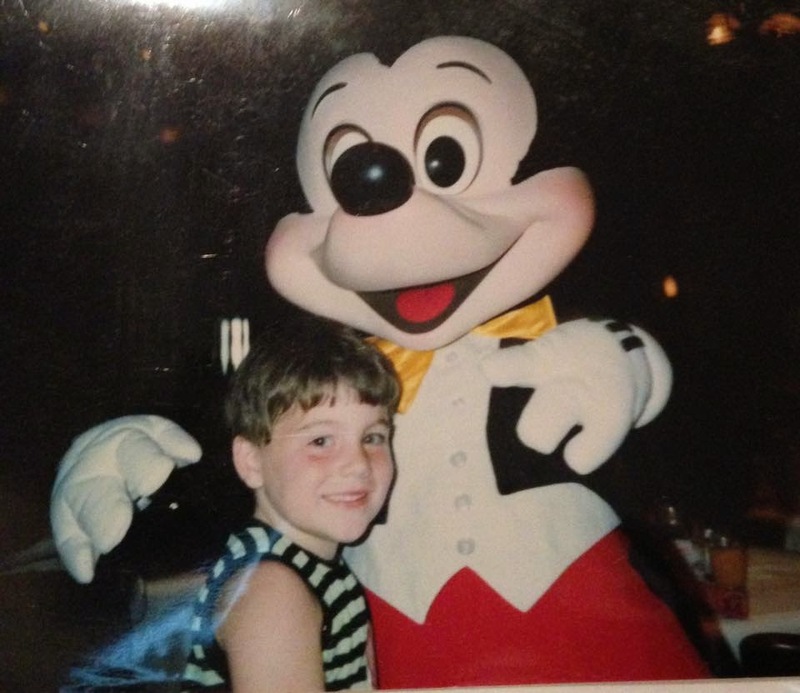 He has made countless trips to the Walt Disney World resort since his first trip in 1989 at the age of four. 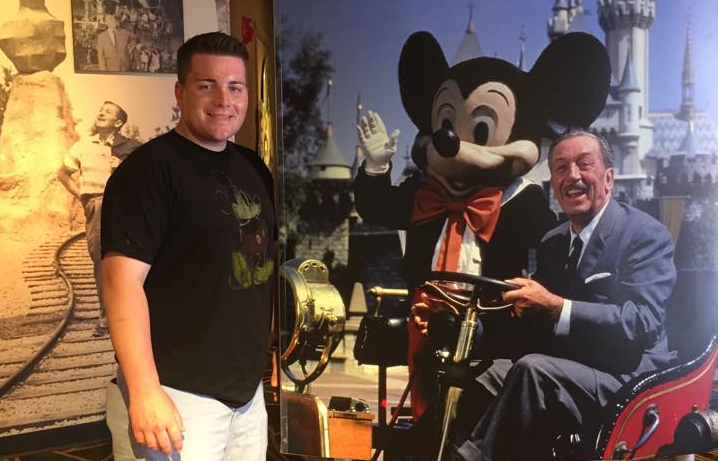 Keith has a strong passion and respect for Walt Disney, the parks and resorts, and the men and women who help create them. He started Disney Avenue as a way to inform and entertain readers and to repay all those who make dreams come true every day.